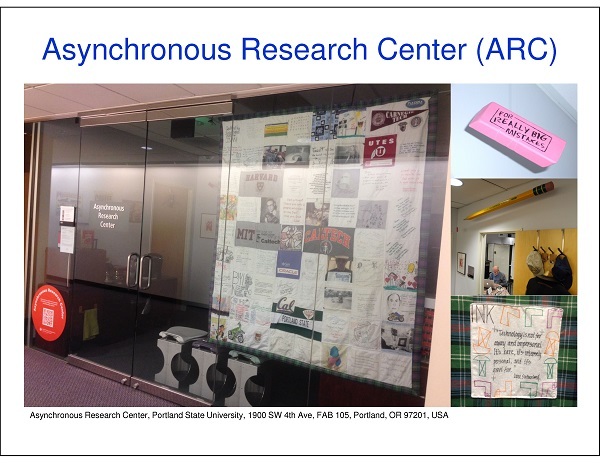 This is the website of the Asynchronous Research Center co-founded by Marly Roncken (cv) and Ivan Sutherland (cv). We report to the Dean's office of the Maseeh College of Engineering and Computer Science. Our faculty members hold appointments with the CS and ECE Departments at Portland State University. Please visit us when you're in the neighborhood.